ELECTRICX POWER is a leading Egypt, Africa & Middle East event, held yearly at the Cairo International Convention Center in Egypt. The aim of this event is to promote the network of experts, industry leaders and distributors in the power-energy sectors. 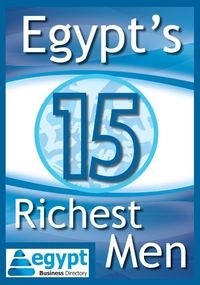 In 2009, the event hosted 11688 visitors from 39 countries with a growth expectation for 2011 as power-energy investments continue to focus on energy sustainability for Egypt, Middle East & Africa. It has just celebrated it's 20th anniversary in December 2010. Industry leaders and experts are expected to attend in addition to financing and regulatory bodies, local government and international. ELECTRICX will be hosted alongside leading exhibitions within the power and energy field - SMART-GRID SOLAR TEC, WIND TEC and MEFSEC. Last year alone, 18,000 visitors walked through the doors of ELECTRICX and MEFSEC.